Join CCH at Dear Evan Hansen! We’re selling out our last 20 tickets to Dear Evan Hansen on February 28! 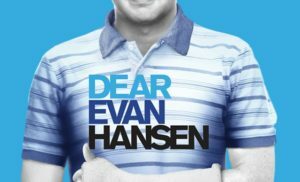 Chicago Coalition for the Homeless is excited to partner with Broadway in Chicago again to bring you exclusive ticket access to the critically-acclaimed Broadway musical Dear Evan Hansen. Purchase Dear Evan Hansen tickets here. These are Loge/Dress Circle seats. When you buy tickets through the provided link, 36% of the ticket price is a tax-deductible donation to CCH to help further our mission.